Children's bamboo toothbrush with soft bristles composed of 62% Castor Bean Oil and 38% nylon made in the USA. It is the only plant based bristle available that lasts as long as conventional nylon. 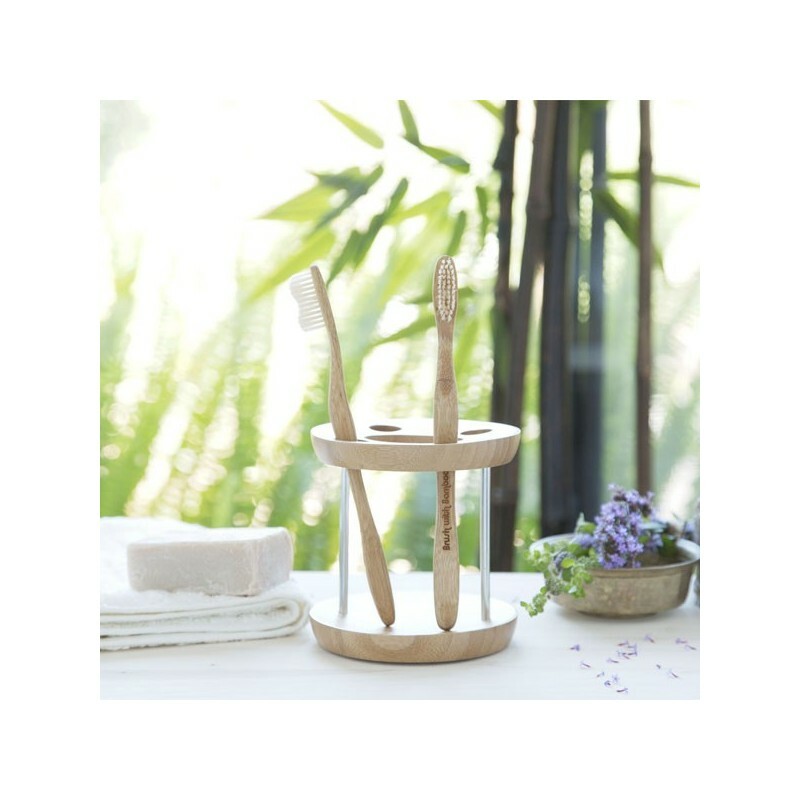 Toothbrush handle is certified organic bamboo. Inside wrapper made from plant cellulose and is compostable. KIDS SOFT. One of the original bamboo toothbrush brands, Brush with Bamboo made the world’s first bio-based toothbrush. 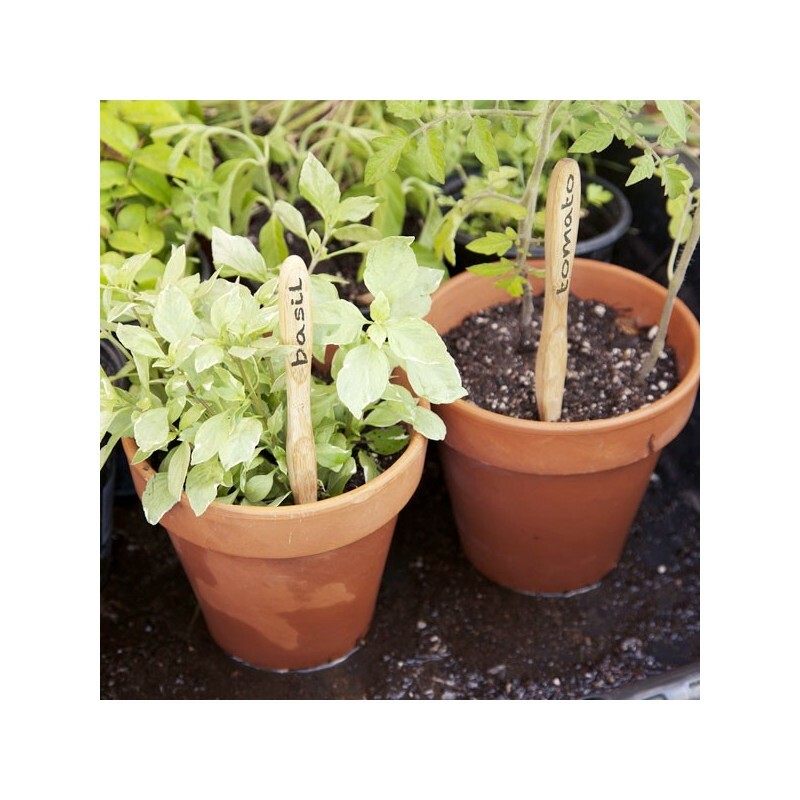 USDA Certified Biobased, Green America Certified Business. The giant bamboo used for the handle is not food or habitat for pandas and is the fastest growing plant (renewable resource) on earth. Bamboo is certified organic by CERES of Germany. 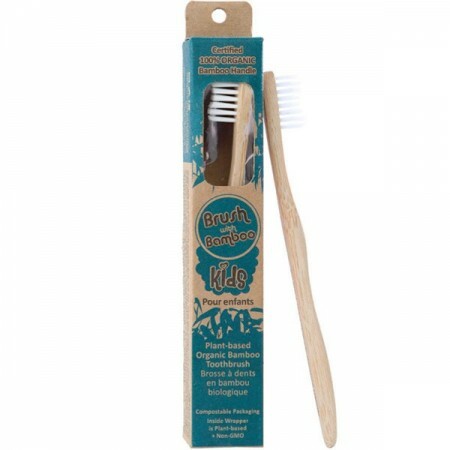 Children's toothbrush with soft bristles made from a base of 62% castor bean oil in the USA. Sustainably harvested, single-origin CERES certified organic bamboo handle. No pesticides used in growing. Removable bristle points dramatically mitigates landfill contribution. Cardboard packaging is folded and held in place without the use of glues. Supported by environmental activists worldwide. Are there any biodegradable toothbrush bristles? Brush with Bamboo uses the most advanced bio-based bristle in the world today. It’s bio-based, but still not biodegradable. 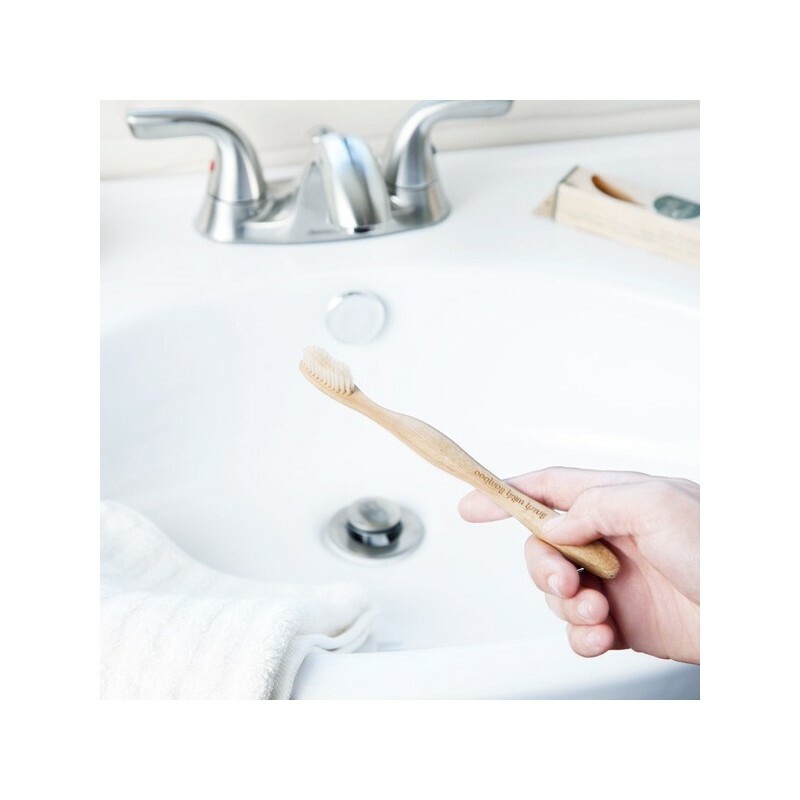 Prior to the invention of nylon in the 1930s, pig hair was used for toothbrush bristles and is the only long lasting biodegradable option, but because it is an animal product we do not offer these toothbrushes. Brush with Bamboo states: "We’re pushing bristle manufacturers to develop better alternatives to nylon. This new bristle that we are now using is the best available option. It’s not perfect, but it’s a step in the right direction. Please beware of other companies selling “biodegradable bristles” – no such thing currently exists. Brush with Bamboo is an industry veteran in the field of toothbrush manufacturing. We are the longest existing bamboo toothbrush brand. If such a bristle really existed, we would have it." 100% organic bamboo handle, bristles made from non-GMO 62% caster bean oil and 38% nylon. Packaging made from cardboard and a compostable plant cellulose wrapper. Reuse or recycle bamboo handle, can also be buried or composted. Break off head or remove bristles with pliers. Ask your local recycling facility about the best way to recycle the bristles. Recyclable cardboard box and compost the plant-cellulose wrapper. 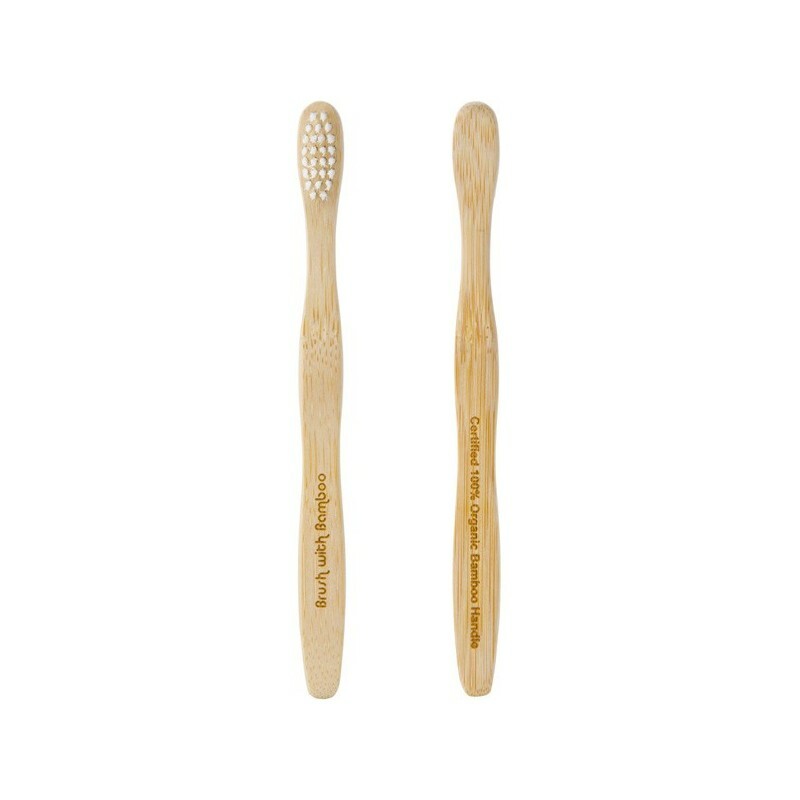 Bristles are made in USA, toothbrush handle is made ethically in China by skilled artisans. Packaging made in China. Whole family use these, work brilliantly, love them!